As a genre, the action film has a long pedigree. The massive explosions, thrilling chases and courageous heroes who barely, but inevitably, defy death to win the day have been the backbone of Hollywood cinema since its inception. Today, we typically think of these films as largely created by, and for, men but this wasn’t always the case. Some of the earliest action heroes were actually heroines and one of the best was “railroad serial-queen,” Helen Holmes (figure 1). In a career that spanned more than a quarter century, Holmes (1892 – 1950) was involved in an enormous number of films. [i] Principally she was an actress, but she also co-wrote, produced and directed many of the movies in which she starred. As a stunt woman, Holmes was absolutely fearless. She fought runaway trains, leapt from bridges (on horseback! ), rescued male colleagues and wrestled would be thieves. Later in life she would become one of Hollywood’s leading animal trainers. Actress Mabel Norman encouraged Holmes to try movies in California. 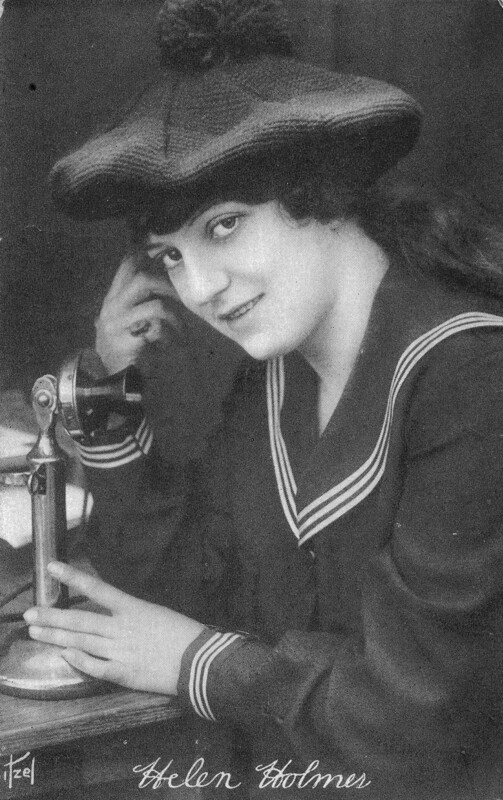 [ii] Initially, Helen landed only small parts, but in 1914 she was cast as the lead in the Hazards of Helen, a smash 119-part serial for the Kalem Film Company. In the serial, Helen played a railroad telegrapher whose bravery and quick thinking repeatedly saved the company from potential ruin (a few episodes can be viewed on YouTube). 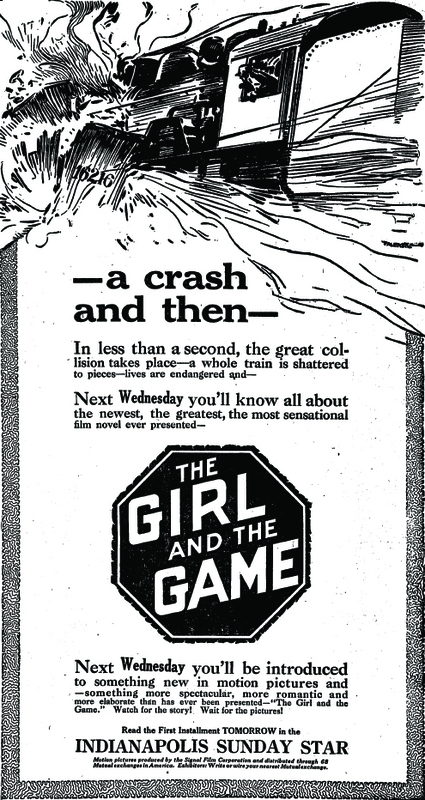 Figure 2: The Girl and the Game promised something “more spectacular, more romantic and more elaborate” than anything that had been seen before. The advertising for the film shows Helen, aboard a speeding locomotive, hurtling towards danger. In the ad below, which ran in national newspapers, the eye is drawn towards a horrible explosion with steam, wreckage and billowing fire. The heroine looks out from the engine’s window towards the crash. This is not a woman in need of rescuing; she leans forward, directly heading for the impending destruction. Holmes was quite literally born to be the “darling of the railroads”. [iii] As the daughter of a Midwest railway man, she knew a great deal about the business. The realism she brought to the part apparently paid off and the Hazards of Helen did so well that she and her director-husband J.P. McGowan were able to launch the Signal Film Company. 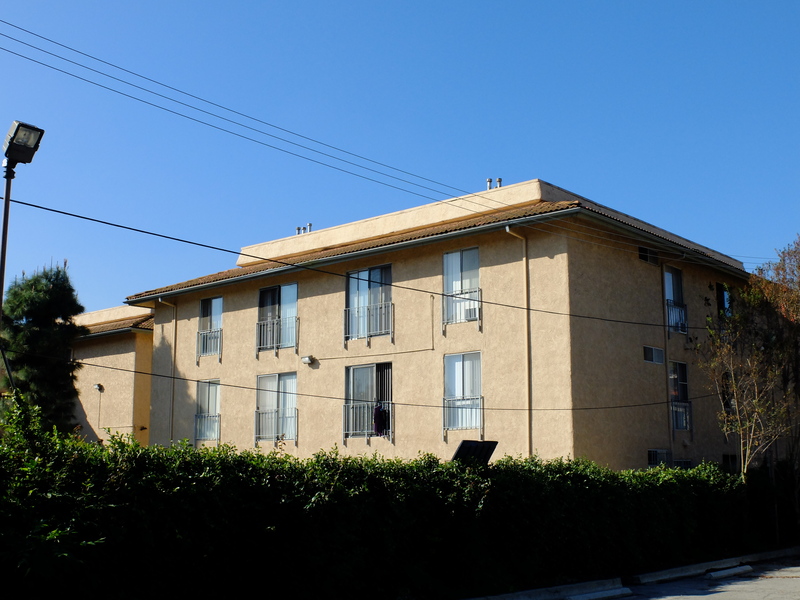 [iv] In October 1915, Holmes and McGowan purchased land that had been used briefly by film pioneer, Siegmund Lubin at 4555 and 4560 Pasadena Avenue (now Figueroa). [v] The property had the added advantage of having a branch of the Los Angeles and Salt Lake railway running through it. In February 1917, the Highland Park studios were substantially enlarged. Some of the old buildings were demolished and twenty new dressing rooms of a “spacious scale” were constructed. The dressing rooms were even luxuriously appointed with hot and cold running water. [xiii] Lubin’s original open-air stage was also removed to make room for a new one that could be used year-round (figure 4). The studio buildings were converted to housing after the company left (figure 5). Many of the structures appear to have survived through the early 1970s when they were finally demolished to make way for a large apartment complex located immediately south of Sycamore Grove Park (figure 6). 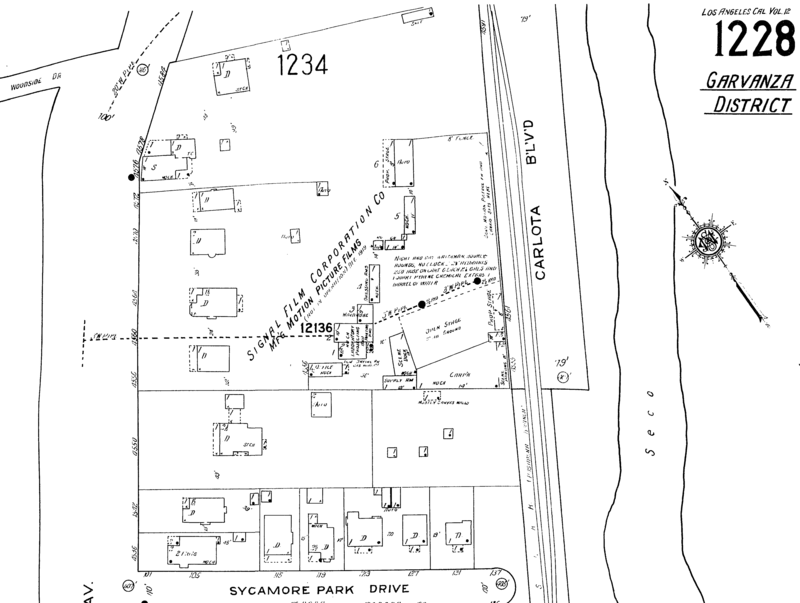 Figure 4: A Sanborn map from 1921 shows the location of the Signal Film Corporation next to the Pasadena branch of the LA and SL railway line which ran along the Arroyo Seco. The studio included a large sound stage, scene doc, laboratory, offices and a number of dressing rooms. 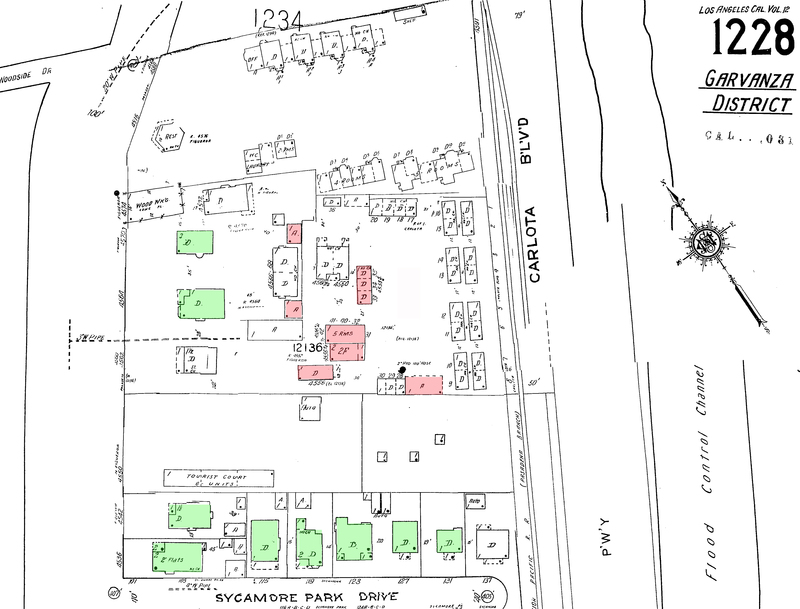 Figure 5: As this Sanborn map shows, a number of the buildings built for the studio (highlighted in red) remained through the 1950s. The scene doc was converted to a garage. The laboratory, projector and dressing rooms became apartments. Today none of the studio buildings appear to have survived, but there are quite a few houses from that time period that still stand (in green). Figure 6: The Signal Film Company site today. The studio buildings are gone, replaced in the early 1970s by a large, bland apartment complex. [x] “Films Reviewed: Whispering Smith”. The Billboard (Archive: 1894-1960)28.24 (Jun 10, 1916): 60; “Pictures: New Signal Subject” The Billboard (Archive: 1894-1960)28.16 (Apr 15, 1916): 52. [xiii] “Signal Must Enlarge” The Billboard (Archive: 1894-1960)29.5 (Feb 3, 1917): 54. Thanks for this article. I’ve heard rumors about early film history connected with Highland Park but hadn’t read any historical research till now. We would like to use your research in an upcoming Museums of the Arroyo (MOTA Day) event sponsored by the Highland Park Heritage Trust. How can I reach you for permission? Hello, I am a great-granddaughter of Helen Holmes and J. P. McGowan. Thanks for the information on Signal and the great research. One small correction, Helen never appeared on Broadway. There was a well-known Broadway actress by that name. I’ve seen photographs of that Helen Holmes and it’s clearly not “our” Helen. The Broadway actress was much older, too. You can find references to her in the NY Times and other periodicals of that time; I also did research at the Billy Rose Theater Div of the New York Public Library and confirmed that Broadway HH and movie-HH are two different people. Also, a short film was made circa 2010 called “Stunt Love” about Helen and Jack. It was made for Australian TV and is difficult to obtain, but worth the effort. Wow, how wonderful to hear your story! I’ll definitely make the correction and will look out for the Australian show. She seemed like an incredible woman – a true pioneer. Hello Shirley Freitas, thanks for your information. I work in the Catalog Dept. of the American Film Institute (AFI); we’re essentially an encyclopedia of American film. (Go to AFI.com and click Catalog.) I have already written a little about J.P. and Helen’s railroad series; for example, check out “The Manager of the B. and A.” Hope to learn more. With the new emphasis on women in film right now, I think Helen Holmes is ready for her close-up. Thanks, Mr. Dawson, and I think this is time for a new appreciation of her, too. Have you seen “Stunt Love”? Its premier screening in the U.S. was at MOMA in 2011. Closer Productions then allowed me to have it shown both at the Niles Essanay Silent Film Museum (Fremont, CA) and at the Tiburon International Film Festival (Tiburon, CA). It would be well worth your time to watch. Also if you haven’t read it yet, the biography of J. P. McGowan by John McGowan (a very distant relative) published by McFarland in 2005, and reissued with more material and photographs in 2016 (Display Visions Productions in Australia) is a great source. I would be more than happy to help with any project the AFI is doing or would like to do re: Helen and Jack. While doing research on Signal’s tour to Nevada I stumbled on your wonderful article, alas nearly three years too late to be timely. However, thank you for a fine read and some great research! Keep up the grand work and if you’d ever like to see some of the Signal Film Company’s films just get in touch. I think my grt uncle is pictured on the train with sports cap and pipe with paper in hand. I’m not sure. His name was Virgil Hart. He was listed as assistant director 1917 The Lost Express. He broke a bone while filming movie. 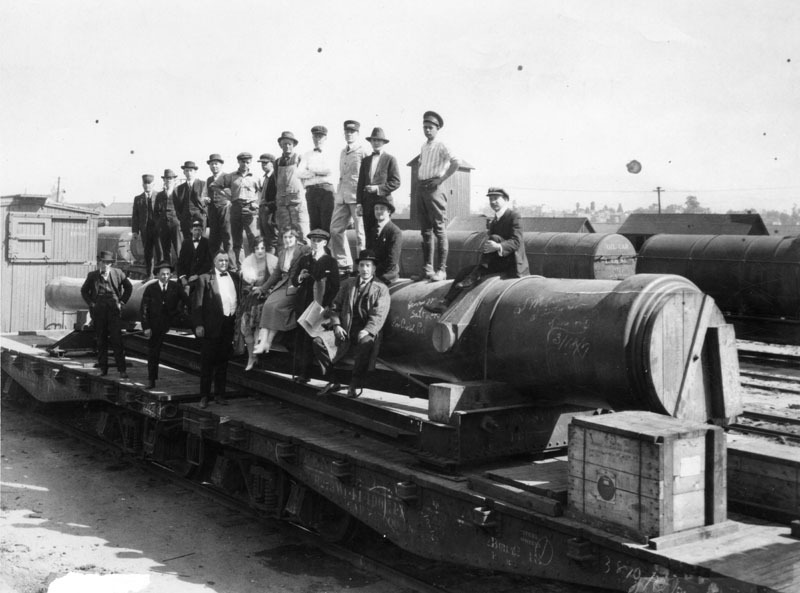 Does anyone know the names of any of the crew pictured on the train? The article is interesting. I love old Hollywood history. Hello, just realized that I never responded to your note. It’s wonderful to be able to put names to faces! I’m afraid I don’t know any of the other folks.